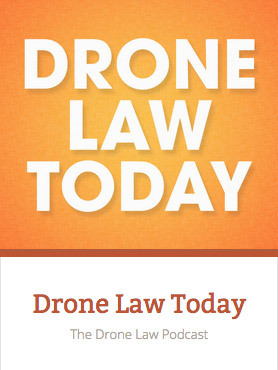 Welcome to the Drone Law Today Podcast! In this episode, we speak with attorney Kris Graham from the law firm of Taggart, Rimes & Graham in Ridgeland, Mississippi. Kris focuses his practice on the litigation of commercial, premises and professional liability claims, with special concentration on aerospace, higher education and healthcare clients. Kris holds an active pilot’s license for both land and sea, a Section 333 exemption to fly drones commercially, and is a member of AUVSI, Lawyer Pilots Bar Association and the International Air & Transportation Safety Bar Association. He leads the firm’s UAS practice group and has helped multiple businesses navigate the process of obtaining a Section 333 exemption. You can reach him via email at kris@trglawyers.com or on Twitter @UnmandNews. Join Kris and me as we talk state drone law, the future of the drone industry, and how “drone law” and robotics may impact the growing autonomous vehicle market. What questions do you have about Drone Law? Click here to let us know! Nothing in this podcast is legal advice! Please don’t make legal decisions for yourself or your business before consulting counsel of your choice. Download your FREE copy of “The Drone Revolution: How Robotic Aviation Will Change the World,” right here: CLICK FOR BOOK!